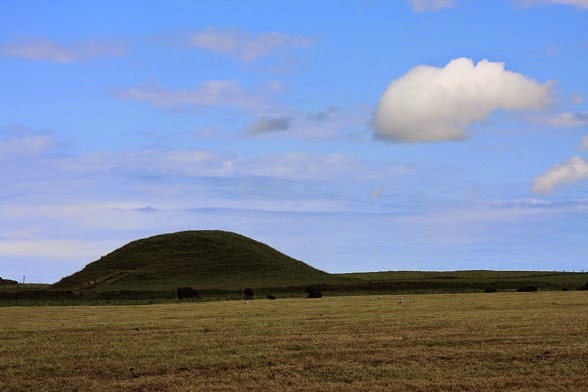 According to Historic Scotland, Maeshowe is the finest chambered tomb in north-west Europe. Maybe that is a slight exaggeration when compared with Ireland's Newgrange, but the Neolithic burial site in Orkney is very impressive. Sadly, you aren't allowed to photograph inside the 5,000-years-old monument, so here are some photos I took from the outside. I did go inside though, along with a guided tour, and wish I could share the experience on my blog in more than just words. The huge central chamber is reached via a long passage and has side chambers in which bones were once placed, probably to mark respect for the ancestors by the island's ancient inhabitants. The passageway is cleverly designed so that sunlight for a couple of weeks on either side of the midwinter solstice lights up the central chamber in a reddish glow. If you want to watch it, apparently there is a webcam meaning that you can view the spectacle from the comfort of your own home without having to brave the bitter winters on Orkney. A group of Vikings in the 12th century had a saga to tell that kind of thing - bitter winters rather than webcams, of course. 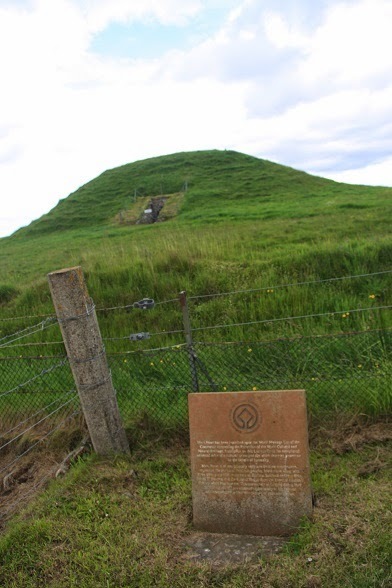 A group of them were forced to take refuge in Maeshowe for three days and nights during a snow storm. While they were stuck there they amused themselves by carving graffiti in runes on the walls. Visitors can still see what they wrote - comments including "Thor and I shagged Helga". At the moment it is nearly midsummer on Orkney, and the weather here is lovely with sunlight until nearly midnight. I'm making the most of it and enjoying my week's holiday up in the north of Scotland. More photos and blog entries will be posted.